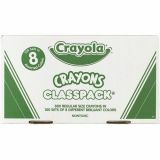 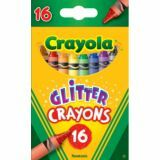 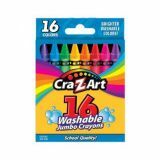 Cra-Z-Art's 16 Count Jumbo Washable Crayons come in 16 classic colors and feature smoother drawing and brighter colors. 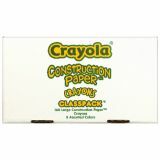 Certified non-toxic. 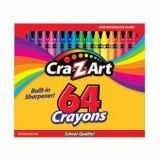 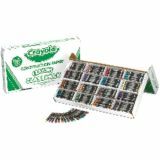 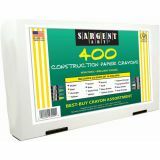 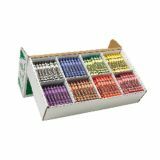 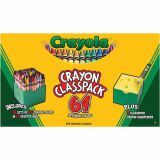 Cra-Z-Art's 64 Count School Quality Crayons come in 64 amazing colors, feature smoother drawing, brighter colors, and you get a built-in sharpener too. 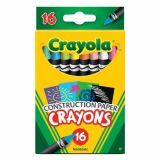 Certified non-toxic. 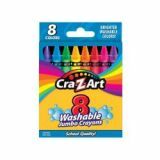 Cra-Z-Art's 8 Count Jumbo Washable Crayons come in 8 classic colors and feature smoother drawing and brighter colors. 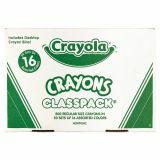 Certified non-toxic.